Franz Xaver Gruber (25 November 1787 – 7 June 1863), was a 19th century Austrian teacher, musician and composer most famous for his sacred works. In particular his hymn Stille Nacht, Heilige Nacht (1818), known in English as Silent Night, Holy Night, has survived to become one of today’s most popular Christmas carols. Franz Xaver Gruber was born in the small village of Hochburg, Austria. His parents Josef and Anna Gruber were small farmers and linen weavers. Weaving was an important additional source of income at the time. Nevertheless, the parents’ sparse earnings were barely enough to cover the costs of raising a family. Franz was the fifth of six children in a family, and was expected to continue the family trade, but he had other ideas, and began taking lessons in secret with Andreas Peterlechner, a schoolteacher. Peterlechner quickly caught wind of the boy’s musical abilities and promoted his talents and gave him free music lessons, which his father was vehemently opposed to. Peterlechner in particular supported the boy wherever possible. Nevertheless, until Franz was eighteen years old, he continued to work as a weaver with his brothers and sisters. Finally, he was able to convince his father to let him pursue a career in music and teaching, his strict father could no longer ignore his son’s extraordinary talents and gave him permission to attend organ lessons with the well-known choirmaster Georg Hartdobler in Burghausen. After only three months of teaching, Franz Xaver Gruber was capable of playing the basso continuo on the organ. He also played the violin, continued his musical education and began composing his own songs. By the age of twenty, Gruber had finally finished his studies and passed the necessary exams to become a certified teacher and organist. In 1807, he began his first independent position as a teacher, sacristan and organist in Arnsdorf. In the same year, he married his predecessor’s widow, Maria Elisabeth Engelsberger, who was 13 years older – a condition requested by the community and quite common at the time, which allowed him to move into the sacristan’s residence. Gruber and his wife had two children, both died prematurely. Gruber decided he also wanted to be the organist at the newly founded church in Oberndorf. In order to improve his financial situation and in the hope to one day receive the teaching position in Oberndorf, he also worked as a choirmaster and organist at the St. Nikolas Church, located just four kilometres away in Oberndorf, beginning in 1816. Despite his overwhelming schedule, it seems that Gruber was able to excel in nearly every area. His school was consistently praised as one of the best in the area, and Gruber had quickly gained a reputation as a top-notch organist. However, the most significant moment of Gruber’s career, or at least the one he is best remembered for today, was composing music for the song Silent Night, set to Josef Mohr’s lyrics. Joseph Mohr (December 11, 1792 – December 4, 1848), Austrian Roman Catholic priest and writer. Beginning in 1817, his love for music connected him with the new assistant priest in Oberndorf, Joseph Mohr, a passionate singer and guitar player. On Christmas Eve of 1818, Mohr showed Gruber a six-stanza poem Silent Night he had written two years previously. He asked Gruber to add a melody to his poem. The priest and the teacher sang it together after the Christmas mass at the St. Nikolas Church in Oberndorf, Mohr accompanied the performance with his guitar. After this first act, Gruber composed an additional organ arrangement for the song. Other than that, however, the song didn’t seem to hold any particular significance for him. He described it as “a simple composition”. 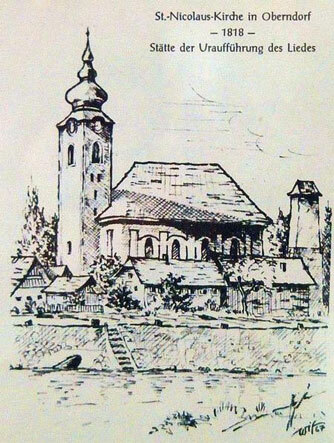 The high point of Gruber’s career in Arnsdorf was the 300-year anniversary of the “Maria im Mösl” pilgrimage church in 1820. The event which brought 20,000 outsiders to the region and which saw Gruber direct many orchestral performances over the course of the five-day festival, which helped secure his reputation throughout the region. After the death of his first wife in 1825, Gruber married a former student, Maria Breitfuss. The marriage resulted in ten children; only four of them survived to become adults: Franz Xaver, Elisabeth, Amalie and Felix. Gruber did not manage to get transferred to Oberndorf. There were also several disagreements with his superiors. In 1829 Gruber moved to Berndorf, and in later years to Hallein, Salzburg, where he was named choir director, singer and organist. Filled with enthusiasm, Gruber dedicated himself to training singers and musicians for the church choir. He composed and participated in many musical events, also outside of Hallein. In 1841, Gruber’s second wife and his last child died during childbirth. One year later, Gruber married his third wife, his second wife’s friend, the shoemaker’s widow Katharina Rieser (widowed Wimmer) from Bockstein. Gruber’s sons from his second marriage stepped into the musical footsteps of their father: The oldest, Franz (1826 – 1871), founded a choir group in 1847, as well as the Halleiner Liedertafel musical group in 1849, which still exists today. 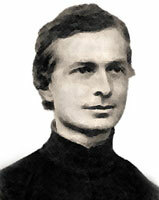 His second son, Felix (1840 – 1884), followed his father to become the choirmaster of Hallein. 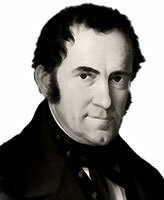 Franz Xaver Gruber died of natural causes on June 7, 1863 at the age of 76 in Hallein. Although Silent Night has tended to overshadow his other works, Gruber was actually quite a prolific composer. Many of his works were essentially forgotten for well over a century, but fortunately many of them were catalogued and published in 1989. This represented the first time that the public was exposed to the vast majority of Gruber’s work, which includes an astonishing 60 masses and over twenty additional liturgical pieces in addition to dance music, secular songs and arrangements of many hits from the operatic tradition. Like Silent Night, most of Gruber’s other works are simple and melodic. Although they come out of a tradition that is classically influenced, Gruber was unique in incorporating several uniquely Romantic aspects in his works, and as such they often had a heightened sense of drama. Gruber didn’t receive much recognition for his most famous work during his lifetime, although he got to experience the early days of the song’s success, only his descendants saw it spread throughout the world. Silent Night (originally “Stille Nacht”) was composed by Franz Xaver Gruber to lyrics by Joseph Mohr in 1818. Their collaboration led to the creation of one of the most familiar and best-loved carols of all time. It has been translated into at least 140 languages. Silent Night was declared an intangible cultural heritage by UNESCO in 2011. It is likely to be the most popular Christmas carol in the world, but the history behind it is still the source of great confusion. Myths and fanciful tales gathered around its origins. The story of how it was written has probably been expanded, embellished and romanticised over the years. Different books, dramas and films have been devoted to the origin of this song. Today Internet sites and books are filled with fanciful tales purporting to tell the history of Silent Night. Some tell of mice eating the bellows of the organ creating the necessity for a hymn to be accompanied by a guitar. Others claim that Joseph Mohr was forced to write the words to a new carol in haste since the organ would not play. Silent Night wasn’t an entirely spontaneous production. 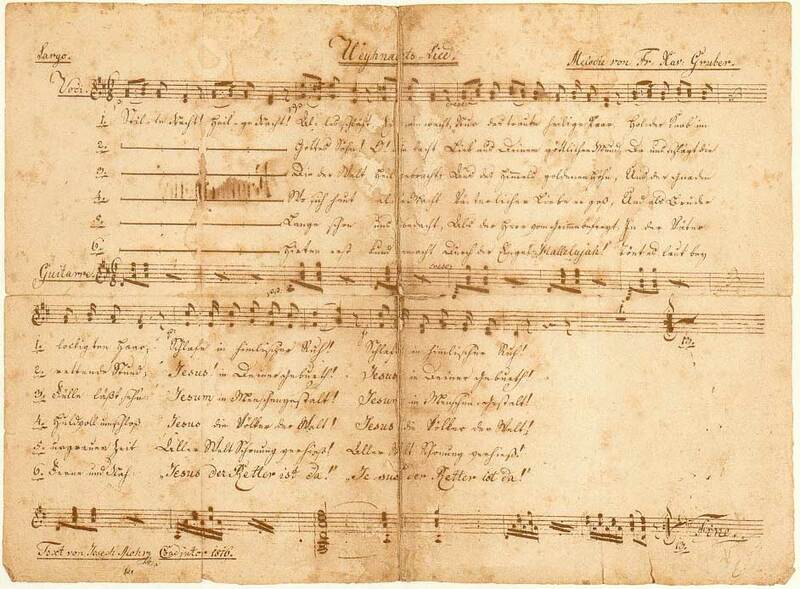 The German words for the original six stanzas of the carol were written by Joseph Mohr in 1816 while serving the church of Mariapfarr, two years before the musical scores were penned. Franz Gruber had already written musical compositions for various occasions and this was simply another task. A few weeks before Christmas, the church organ broke down, which was vital to the Christmas performances. The closest repairman would not be able to visit for months, meaning the Christmas ceremonies would have to be held absent of music. Mohr took his two-year-old Christmas poem to the home of his friend, Franz Gruber. The guitar was seen as a worldly instrument in those days, and not fit for use in a church. As organist, Gruber was probably not very excited about composing a piece for Mohr’s guitar. The men were perhaps more concerned about how the people would receive the implementation of this instrument than how they would like the new song. Within a few hours, Gruber had set the composition to music for two solo voices and a choir. 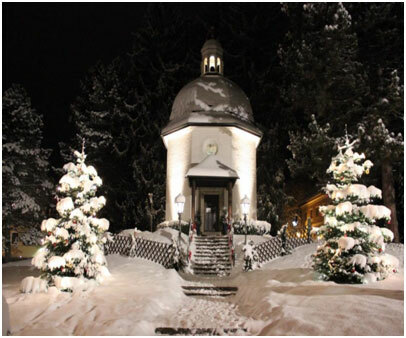 On Christmas Eve the carol Silent Night was heard for the first time in St. Nikolas Church in Oberndorf, Austria where Joseph Mohr was the assistant pastor. Mohr sang tenor and Gruber bass, while the church choir joined in on the refrain. Musical accompaniment was provided by Mohr’s guitar. The townspeople received the new song with enthusiasm. Old St. Nicholas Church in Oberndorf, Austria, the site where the Silent Night was performed for the first time in 1818. Due to major damage after heavy floods at the end of the 19th century, the church was completely taken down. The Silent Night Chapel stands on the original site of the St. Nicholas Church. Zillertal folk music groups began singing it in Alpine villages and before long, the song was known in Munich and other cities. Two traveling families of folk singers from the Ziller Valley incorporated the song into their repertoire. According to the Leipziger Tageblatt, the Strassers sang the song in a Christmas concert in Leipzig that took place on December 15, 1832. It was during this period, several musical notes were changed, and the carol evolved into the melody we know today. On another occasion, according to an historical plaque, the Rainer Family sang the Christmas carol before an audience which included Emperor Franz I and Tsar Alexander I. In the year 1839, the Rainers performed Silent Night for the first time in America, at the Alexander Hamilton Monument outside Trinity Church in New York City. Silent Night was translated into English in 1863 by Jane Campbell and made its first appearance in America in 1871 in Charles Hutchins’ Sunday School Hymnal. Neither Mohr nor Gruber could possibly have perceived that their co-production would someday make them famous. Silent Night is not only one of the most popular Christmas Carols, but also one of the most popular piece of music ever produced.